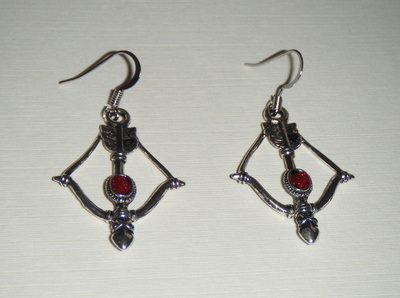 Hunger games/Hunter earrings that can be clip on earrings too! A touch of red for a bit of blood! These are on Nickel free Silver plated earwires, which can be changed to 925 silver earwires or silver plated clip on earrings.